With a small and perspective business to run, you can’t really afford to make a wrong software decision. The challenge is even tougher for accounting software purchasers, as they are not only looking to automate billing operations, but to comply with a number of legal regulations. Not to mention, it is often prompt accounting that holds up the entire reputation of your work. Qualified as a leading small-biz finance system, FreshBooks will certainly appear on your list of potential solutions, and for a good reason. With years of experience in polishing accounting operations, FreshBooks combines just the right dose of simplicity and financial management small businesses would prefer. If you’re a sole accountant, such combination will make even more sense. Just recently, FreshBooks introduced a brand new version of their accounting application that is modernized, easier to use, and even more powerful. Upgrades are made optional for current users, and a fully-functional mobile version is introduced to Android and iOS users to manage accounts on the go. The core simplicity and on-point operations are preserved in both versions, and still count as the leading criteria motivating users to try FreshBooks out. Reasons won’t lack to consider FreshBooks as your first solution, given that it is a reliable and fast accounting suite that turns otherwise complex financial management into an enjoyable experience. Thanks to it, businesses get to manage invoices and recurring subscriptions in less than no time, and collect online payments within the same system. In fact, FreshBooks enables Google Checkout, PayPal, and credit card payments, and integrates with a long list of business systems and applications that can streamline this process. With it, odds are good that you will unite financial control in a single system, and stop paying for the maintenance of complex software infrastructure. At the same time, FreshBooks offers an excellent suite of flexible invoice-to-payment features, as for instance allowing you to track exactly when your customer opened your invoice email. As an intelligent system, FreshBooks uses these features to interact with users and assure them that invoices were delivered in time, as it is with setting invoice due dates, charging late fees, and turning on new online payment options. For a more detailed discussion of FreshBooks collaboration features check out our other article. How to acquire a FreshBooks free trial? You can easily sign up for FreshBooks trial here. We can all agree that a business is just as competitive as it manages to make smart investments, and automating accounting on a price is definitely a shortcut to get there. Therefore, you must ensure that an accounting app works well for your business before you purchase it, and FreshBooks is no exception to that rule. Many people confuse a free trial for a free demo of a product, and thus expect a live tour of a system where features are explained one at a time. The goal of a good trial (FreshBooks’ included) is to pull you into the shoes of an actual users and put tweakable functionality to your disposal. This way, you will obtain actual experience in how different features ought to be triggered, and which tasks the system can or cannot complete. Better yet, in an optimal one-month frame for a system as simple as FreshBooks, you will have enough time to train and involve your team, and to maximize the effect of capabilities that may not be visible at first sight. Systems alike FreshBooks are a healthy investment in busy corporate environments, so make sure you devote enough time to understand how they work. Acquire the tool only if you’re not overwhelmed with other tasks, and carve enough time out of the schedule to introduce it to your team. 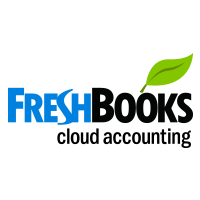 FreshBooks has a very intuitive and user-friendly interface, and requires no accounting experience at all. This means that you will have it up and running only after few days. In order to determine whether FreshBooks coincides with how you’ve imagined your perfect accounting app, give a look to the tool’s main modules. Check the Invoicing and the Expense management sections first, as it is here that creators gathered most of the functionality. Plus, the two modules are interdependent to allow you to categorize expenses for different bank accounts, and even resend bills to clients upon need. Another section you should definitely check is Time Tracking, both when you’re managing the hours worked by your team and your own productivity. Test tracking against your goals, and you will see how the application seamlessly develops new habits of saving time and getting paid prior to due dates. Rather than discussing hypothetical scenarios, FreshBooks’ trial works on actual cases, and gives you just about the same privileges as the one of a paid user. The more genuine information you use to feed the system and pull output, the clearer it will become how far that system can go. This means, before anything else, to customize the system to cater to business specifications, including using your genuine business name, contact data, logos, and clients. As you will be able to experience, FreshBooks pulls in contacts from various sources, and lets you categorize them in a way which is most convenient for you. After only few days, your clients will already be receiving tailored invoices, and covering for those from the comfort of the same platform. Another professional advantage that becomes available right away is end-to-end finance control, as it is this system that suggest different ways to arrange and allocate your finances. While doing so, don’t forget to test the app’s best-in-breed reporting: you can generate a profit/loss report, expense reports to track monthly costs and monitor your balance sheet in real time, and tax summaries – all based on actual numbers you’ve entered. To make matters even better, FreshBooks will allow you to export those reports in all desired formats. Experiencing FreshBooks on your side of the axis won’t be enough – you have to see how your clients interact with it. To do so, the app’s team suggests sending personalized invoices and enabling payment options as many times as possible during those 30 days. Clients will love the speed and ease of paying bills online, and you will have the peace of mind that income is recorded and updated, and has already been processed. On the other side of the coin, there will be automated alerts and notifications on expiry dates that are usually distributed as email messages. This way, you will build meaningful and lasting connections with clients, and avoid all sorts of payment disputes. One of the biggest advantages of the entire free trial concept is being able to see who you’re dealing with. FreshBooks’ support team points out their 30-days trial as a unique opportunity to get to know each other, and check whether their knowledgeable agents will be there for you when you need them. As it is usually with FreshBooks plans, support is available 24/7, via tickets, email, phone, and live chat. For those interested to learn independently, the company offers multiple training materials and video tutorials.